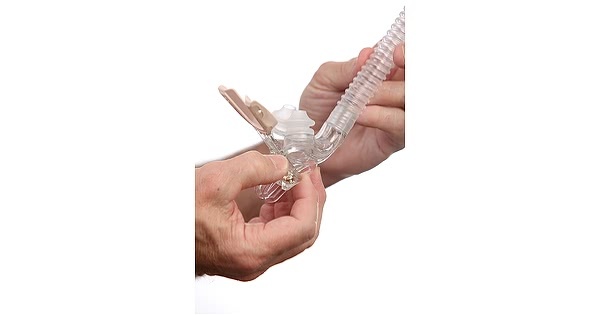 Newer Model Available: TAP PAP Nasal Pillow CPAP Mask with Improved Stability Mouthpiece.
" My previous favorite was the breeze but this may be better. 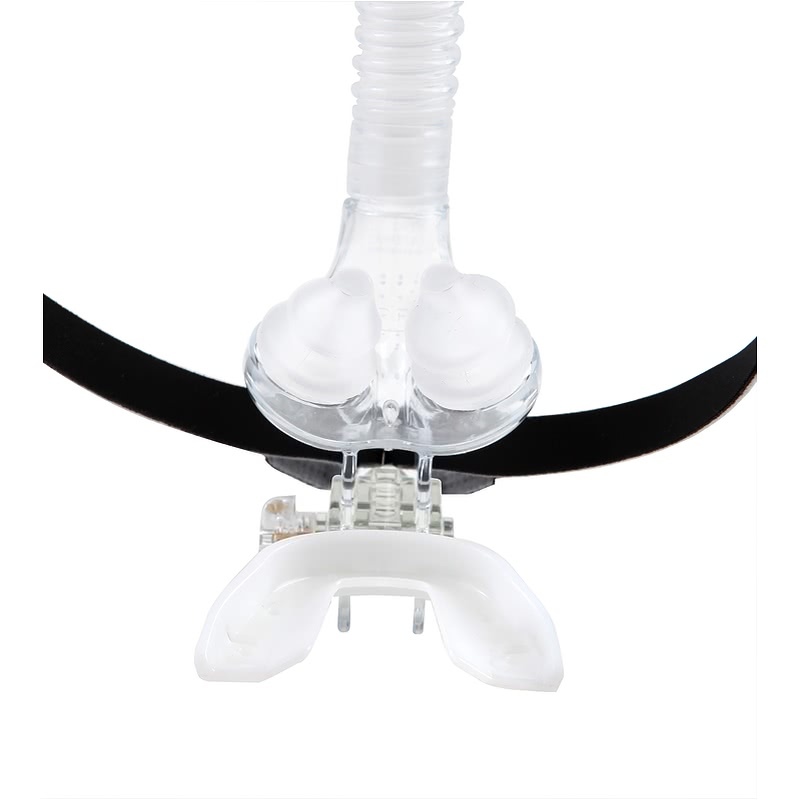 Light, very quiet, easy to clean, no strap marks and no leaks "
If mask leaks, facial marks or headgear hair stand between you and a restful night of CPAP therapy, consider trying the TAP PAP Nasal Pillow Mask with Stability Mouthpiece. This unique nasal pillow mask provides stability without the need for headgear. 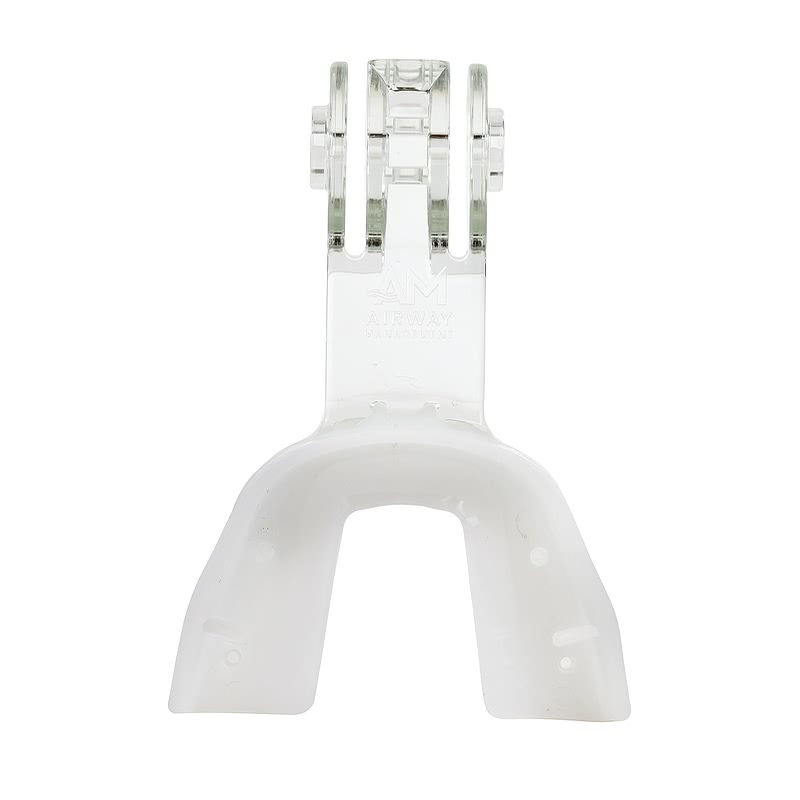 The soft, mold-able mouthpiece offers unexpected comfort with the ability to customize fit to your unique dental imprint. 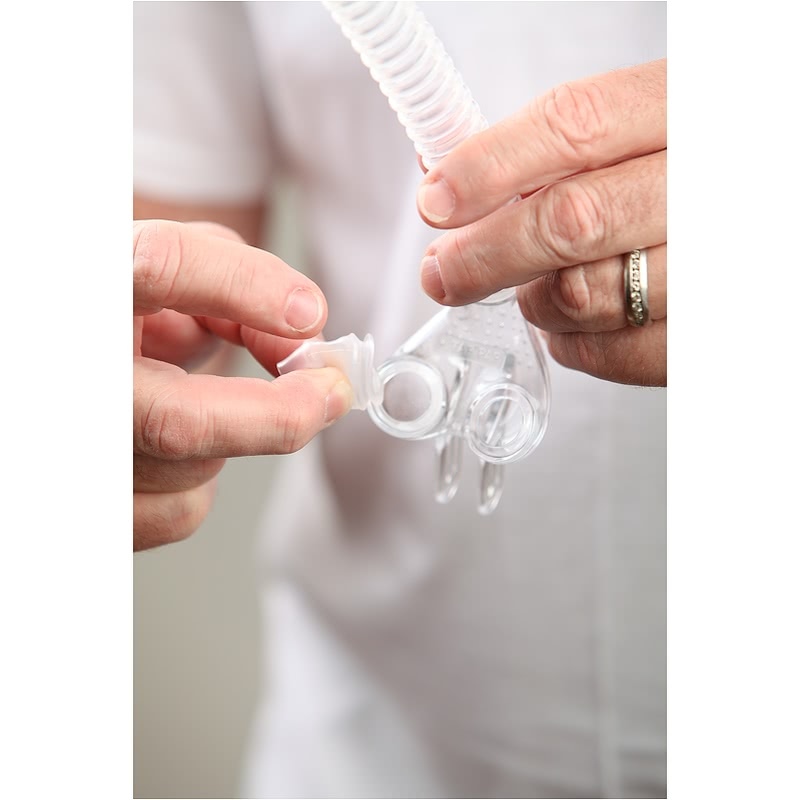 The unique TAP PAP is designed to offer superior fit and stability for CPAP mask users. 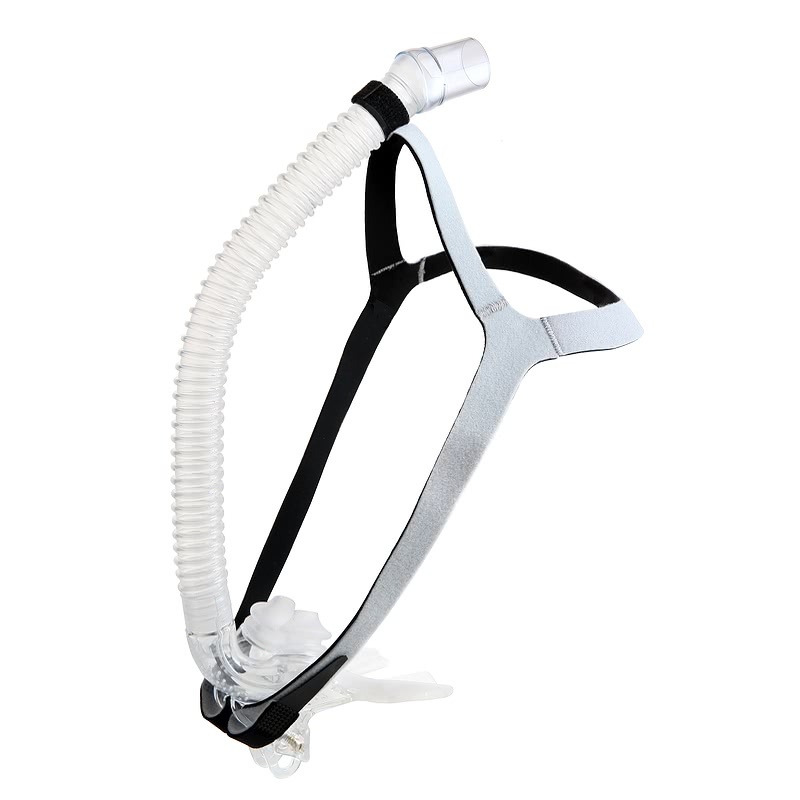 This nasal pillow mask comes packaged with small, medium and large nasal pillows as well as the mold-able mouthpiece and optional headgear. 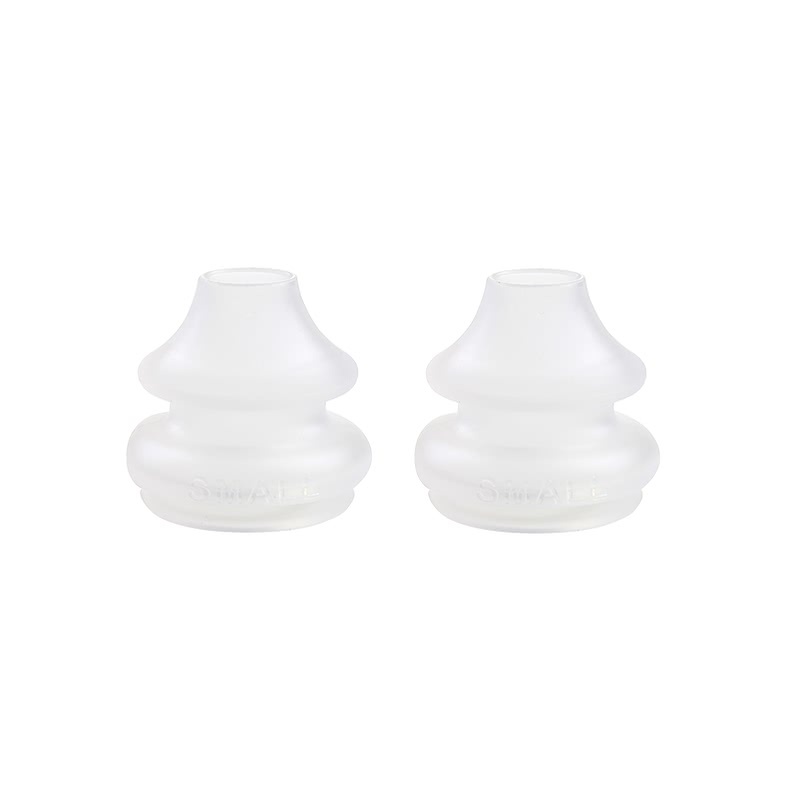 Select the nasal pillow size that offers the best fit and comfort and customize the mouthpiece for a stable fit. If desired, use the included headgear to secure the hose up over the head. 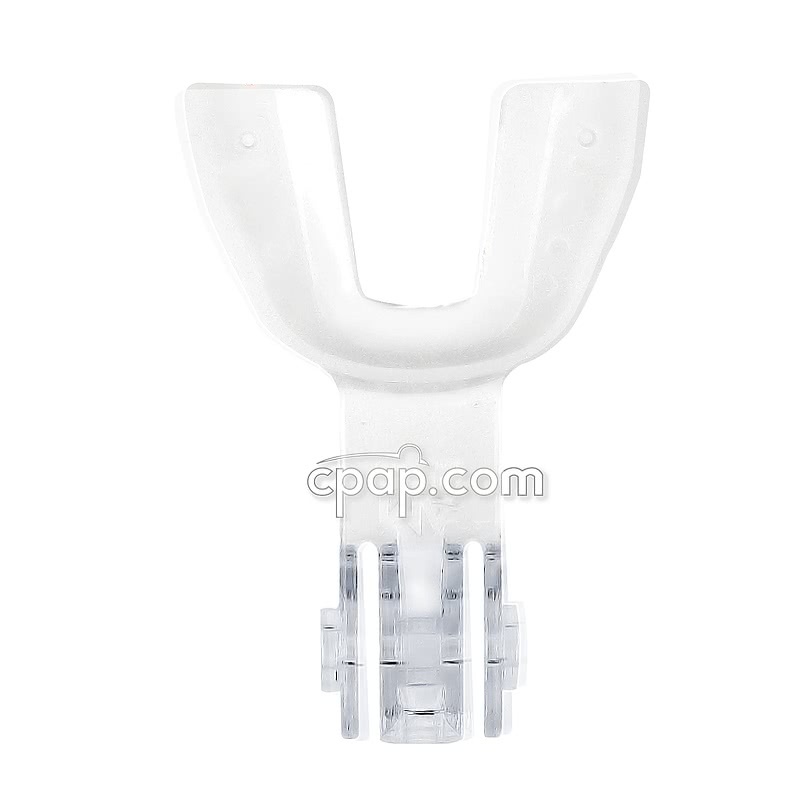 The seal of the TAP PAP nasal pillows is maintained using a molded mouthpiece naturally held in place by the teeth rather than relying on restrictive headgear. Heat the patent pending ThermAcryl™ mouthpiece to fit to the user's mouth and dental structure. Select the best size nasal pillow seals. Attach the mouthpiece to the mask frame. Insert the mouthpiece and align the nasal pillows. Detailed step by step instructions for fit and use are included with the TAP PAP. Review the Important Tips Tab of this product page and product videos for more information on using the TAP PAP. 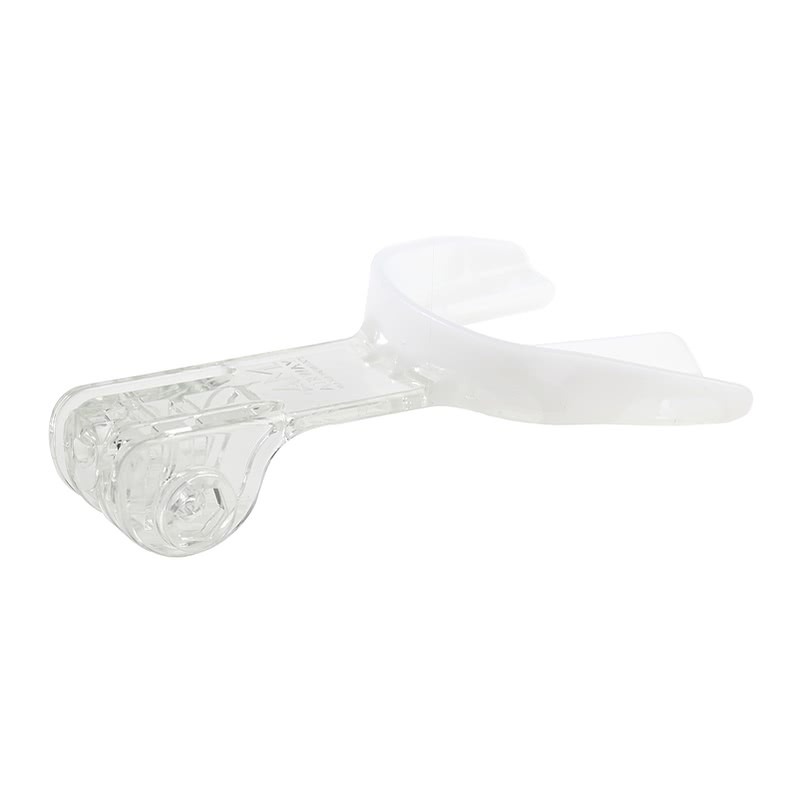 The most notable feature of the TAP PAP mask, the unique ThermAcryl™ material used for the mouthpiece. Dipping this thin, soft polymer in boiled water allows it to be easily and comfortably set to a precise mold of the teeth. 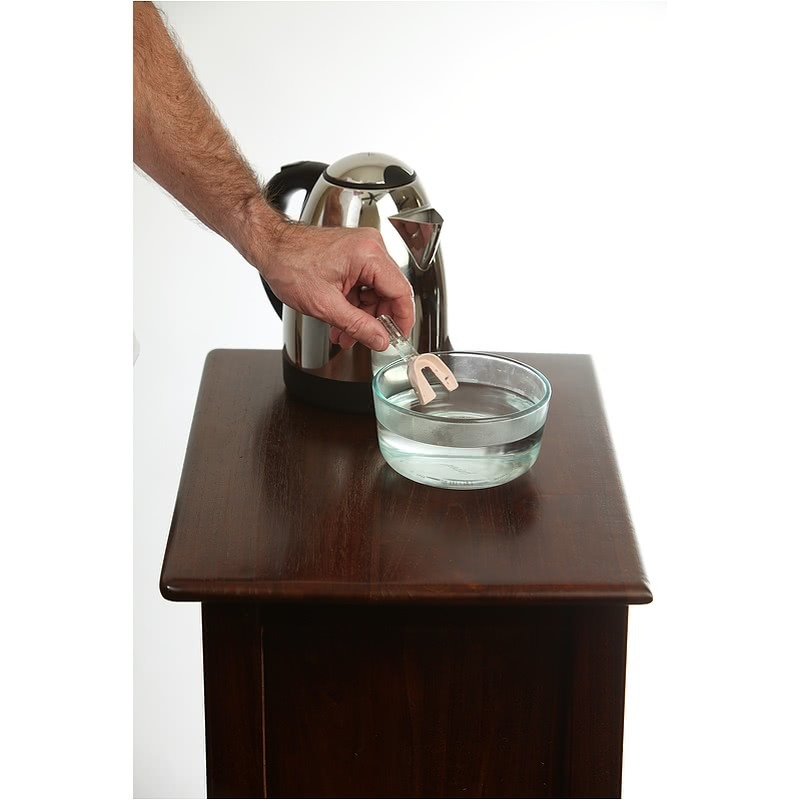 Re-submerge the tray into boiled water and it will return to its original shape so it can be re-molded. Once cast, the mouthpiece will fit snugly around the teeth and won't crowd the tongue. If the mouthpeice feels tight after going through the molding process, run the mouthpeice under warm to hot water. Then re-insert the mouthpeice and move it little from side to side in the mouth. This will loosen the mouthpiece around the teeth. 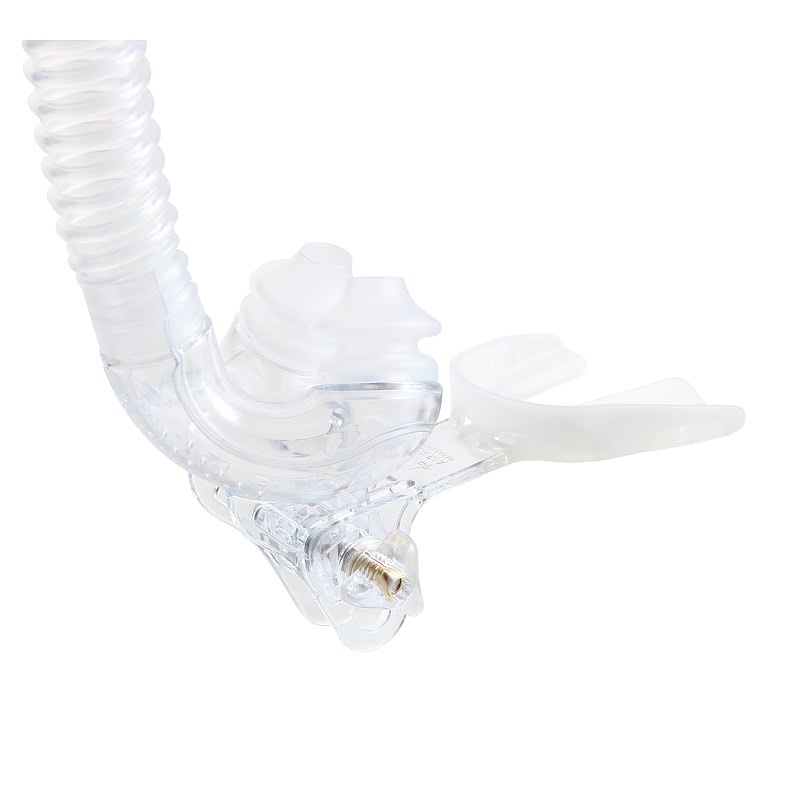 The unique nut and bolt joint sets the desired angle and depth for the nasal pillows and mouthpiece. Once the mask is fit, there should be little need for ongoing adjustments. Left handed? The nut and bolt can also be set to accommodate either right or left handed users. Knowing that quiet operation is a key to sleep comfort, the TAP PAP uses a wide distribution of holes along the mask frame to distribute air evenly and quietly. This helps to reduce disturbances to the user or bed partner. 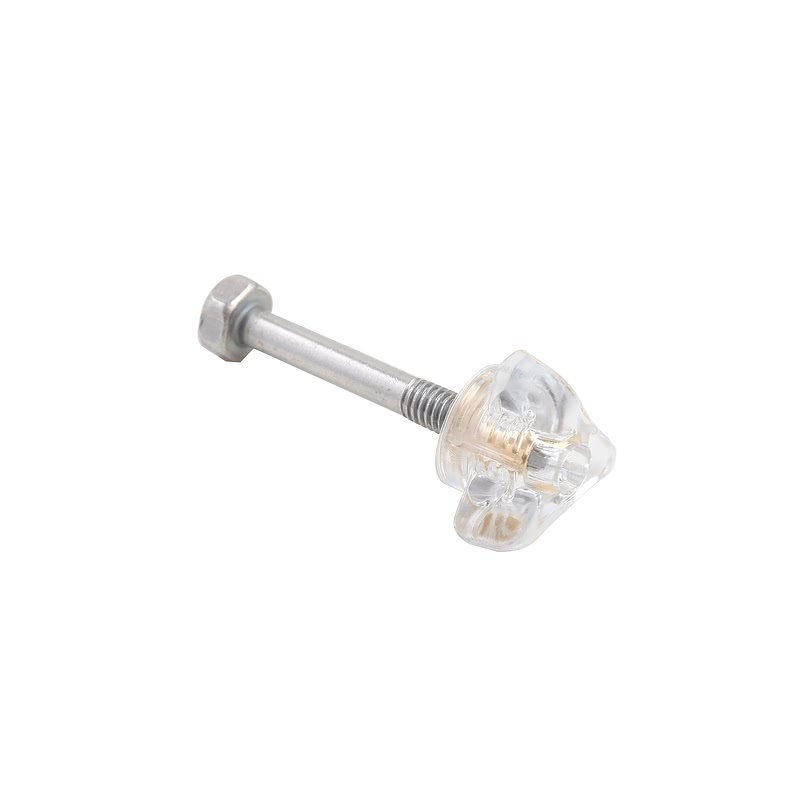 The short tube of the TAP PAP ends in a rotating ball and socket joint. The two piece joint allows for movement during sleep without disturbing the mask seal and extend a high degree of flexibility. 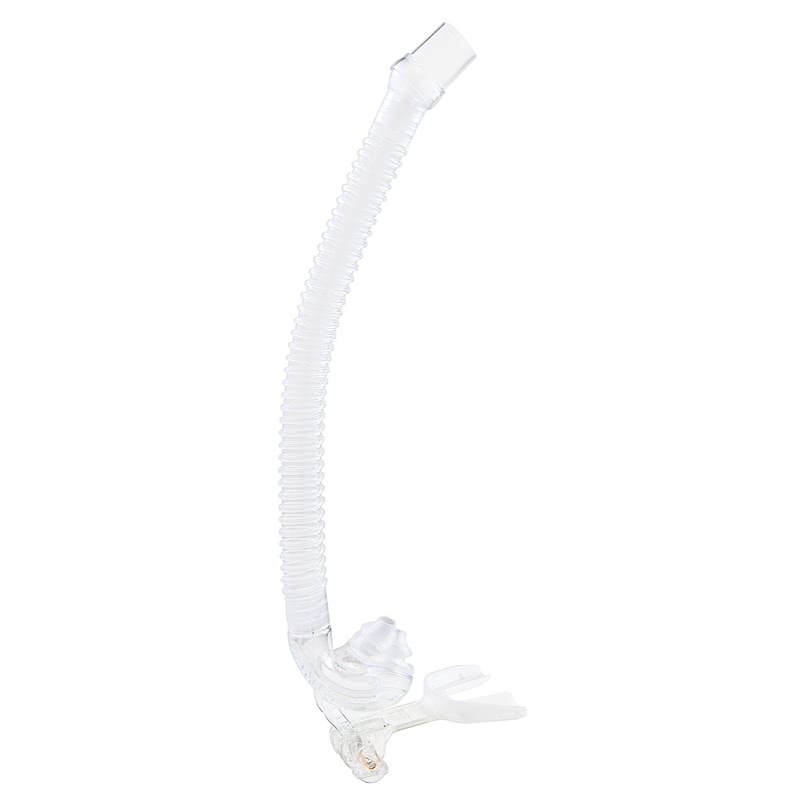 For quick and easy of the release of the mask and long hose just flex the connection between the joint and short hose and it will separate smoothly. Snap back into place when ready to resume therapy. Although not required for use, the TAP PAP does come packaged with a headgear. 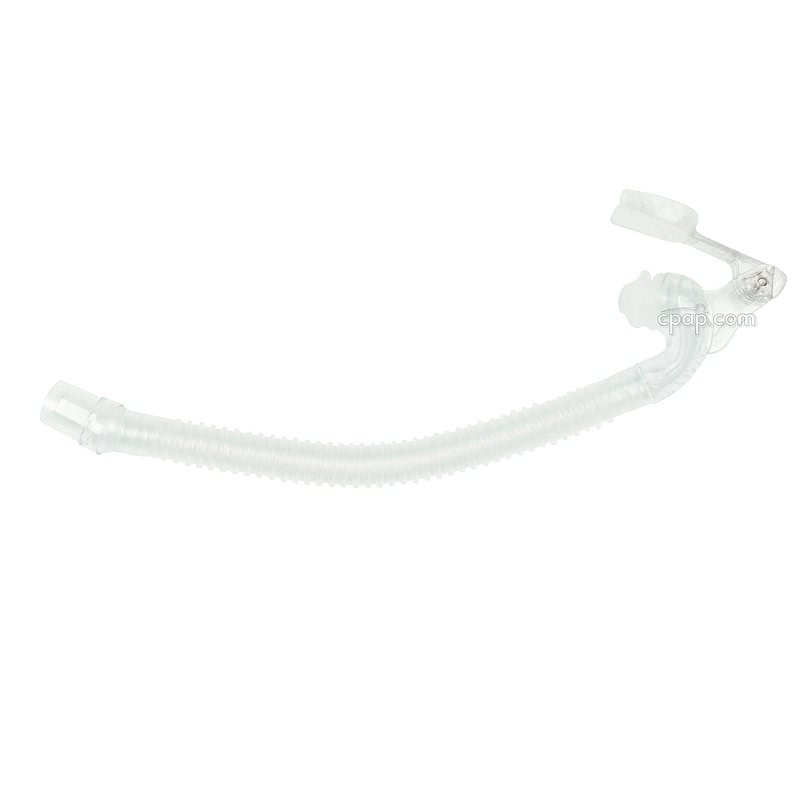 A loop at the top of the headgear strap can be used to keep the mask short tube in place during sleep. 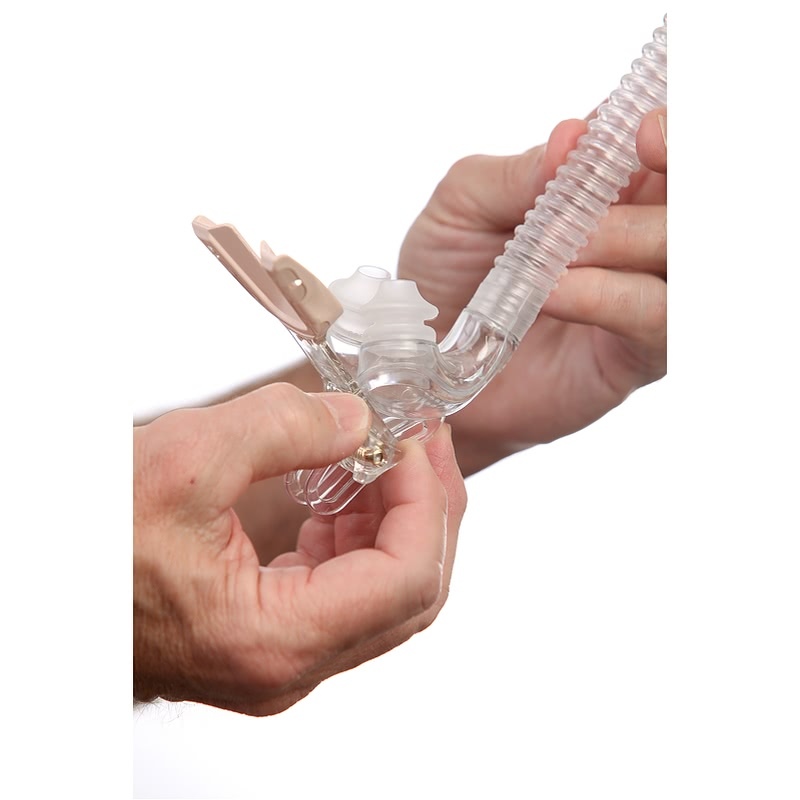 Please watch the Fitting Video to see how the mouthpiece is molded and how to align the nasal pillows. Exhibit CAUTION when using hot water to fit the mouthpiece of the TAP PAP. First time wearing a mouthpiece? Those who are new to wearing a mouthpiece may take a few days to become accustomed to it. Allow for some adjustment time. Mouthpeice too tight? The mouthpiece should be a snug fit but comfortable. If too tight, hold under hot tap water for 15 seconds and re-insert. Then, while in place, move the mouthpiece slightly from side to side. This will loosen the mouthpiece around the teeth. Mouthpeice too wide or narrow? Warm water can also be used for small adjustments. 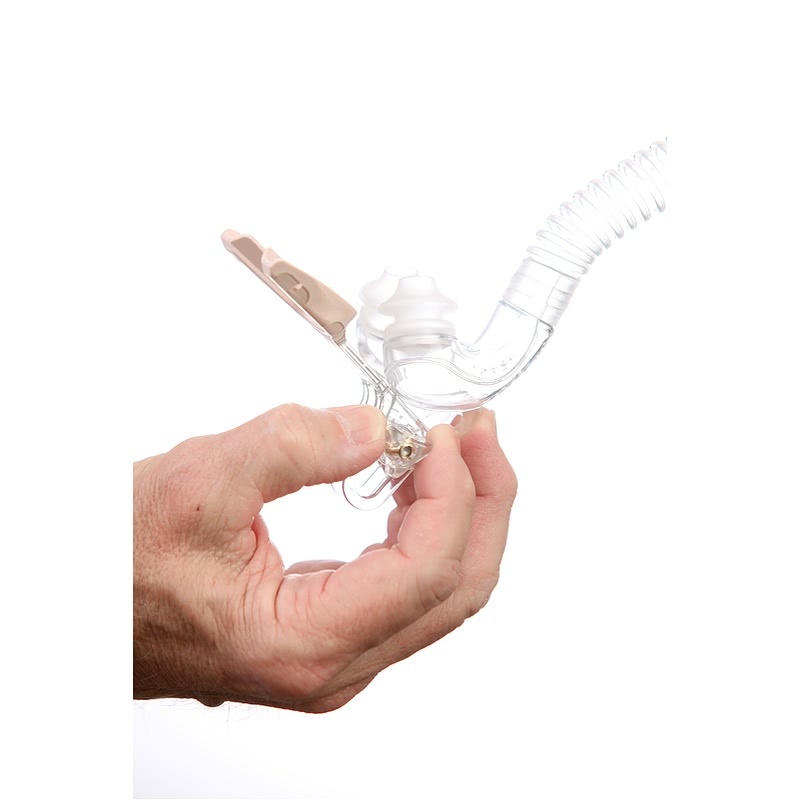 The width of the mouthpiece can be adjusted by holding the mouthpiece under warm water and spreading or narrowing the space. Pillows too close or far? 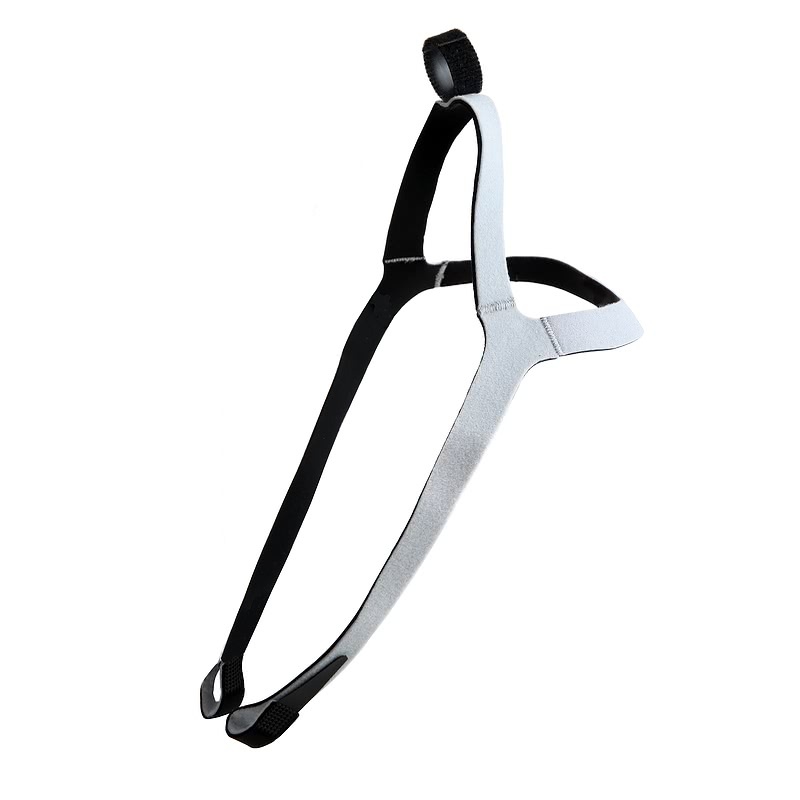 Alignment of the nasal pillows and mouthpiece can be adjusted using the bolt and screw. Experiencing leaks? Turn your machine on to fit the mask while under pressure. Move the mask away from your nose as much as you can without it leaking. You will find it doesn't need to be tightened much to seal as a regular mask, as it doesn't move. That will make it more comfortable over the night. 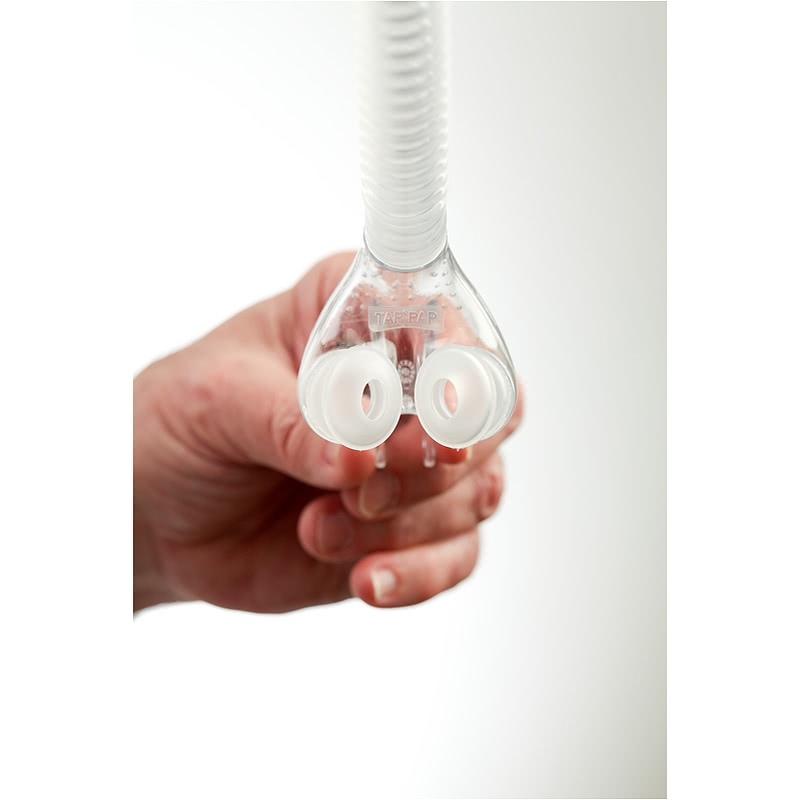 You can also adjust the rotation of the seals or change nasal pillow sizes, to improve the seal if needed. Want to re-fit the mouthpiece? To completely remold the mouthpiece, repeat the boiled water steps. Each morning rinse mouthpiece with cold water and allow to dry in an area out of direct sunlight. Weekly, wash nasal pillows and mask components in lukewarm water with mild soap. Scrub mouthpiece with a soft toothbrush. Thoroughly rinse all components and allow to air dry out of direct sunlight. If using the headgear, each week hand wash it using mild soap, rinse well and allow to dry. DO NOT wash mask or headgear in dishwasher or washing machine. Use only mild soap that does not contain moisturizer, antibacterial agents, alcohol or bleach.